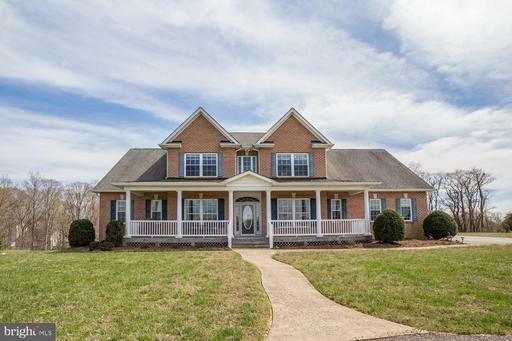 Situated in one of the most popular and sought after communities in Calvert County, this gracious home is sure to impress your friends and family from day one! 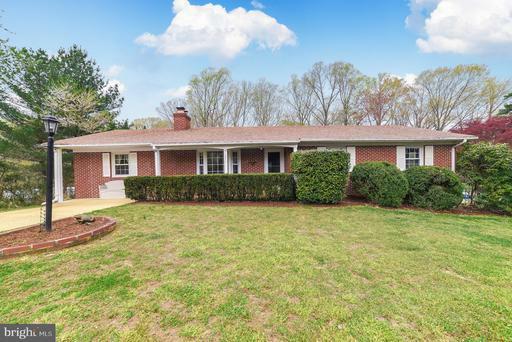 This home sits well back from the road, amongst mature landscaping, giving the entire property a feeling of privacy and seclusion, while still having all of the conveniences of Mid-Calvert close to hand. This is one of only a handful of homes overlooking the community green space field, which is the popular spot for a friendly game of frisbee or soccer. 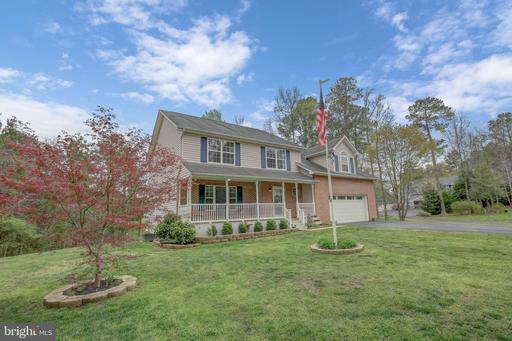 After walking up the front porch you will have your breath taken away by this pridefully maintained home. The foyer is flanked by formal living and dining rooms, and opens into an amazing two story family room. The family room features a wall of glass overlooking the peaceful forest, and has convenient built in bookcases and a propane fireplace. There is also a quiet sunroom/ den located adjacent. The kitchen is the heart of the home, with lovely granite countertops, a large table space, newer appliances and custom cabinetry. 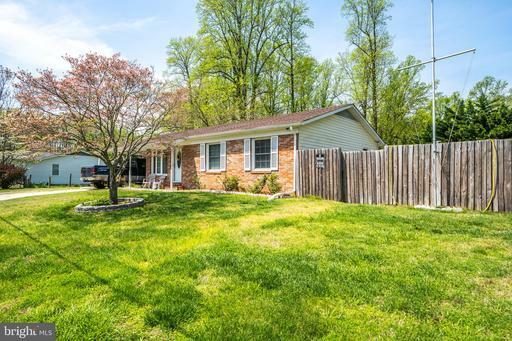 Outside, there is a screened porch, with access to a large deck and patio leading to the yard. The basement is game-day central, featuring a custom bar, pool table area, and TV room. There are also two additional flex-use rooms and a full bath in the basement! The bedrooms are all nicely sized, and feature ceiling fans. The master suite has a vaulted ceiling, super bath, double closets, and lots of room to spread out. 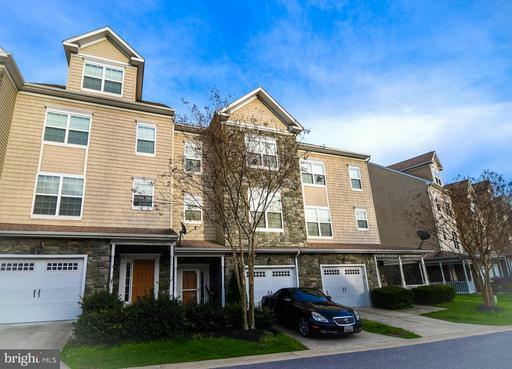 Everything is fresh, clean, and absolutely move-in ready! This home is truly one of the most remarkable in the community. Enjoy gracious living in an established community, with access to the most desirable schools in the County! Shopping is located nearby, and youll be in Annapolis or DC in 40 minutes. A perfect commuter location! 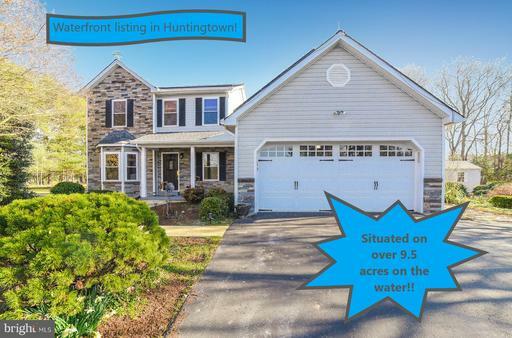 Schedule your showings quickly, this one wont last! Thoughtful updates grace this un-traditional Tudor/Colonial. Open floor plan contains beautifully detailed gathering spaces with crown moldings, built-ins, high ceilings, French doors, hardwood and tile floors to the expansive two-story family room with gas fireplace. The kitchen contains stainless appliances, granite countertops, large center island and white cabinetry. 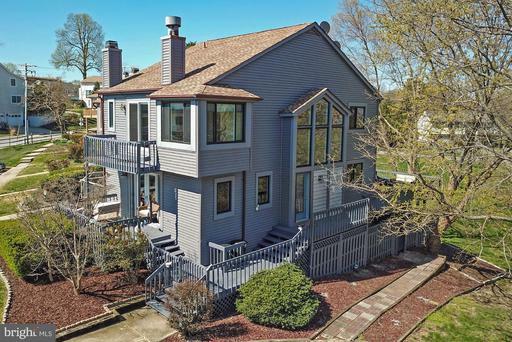 Walk thru French double doors to all-season 30 x 20 sunroom featuring a pellet stove generous storage underneath, many windows and two sets of patio doors that open to the oversized deck, gazebo, shed, extensive hardscaping and custom in-ground swimming pool. Portion of the pool fencing may be conveniently removed for entertaining. Outstanding pool amenities - such as a waterfall, bench and kiddie area. Additional living space is found two steps down from the family room into the guest suite - bedroom, full bath with spa tub, a cozy den with wood-stove and walk-out to the side yard with more landscaping and Koi stone pond. 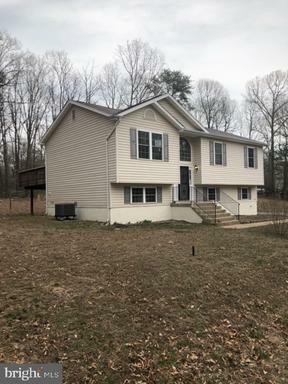 A great location in Northern Calvert - no traffic lights out of Calvert on Rt. 4 - making points of North easily commutable. Home is larger than record states. Come live with everything a home has to offer. 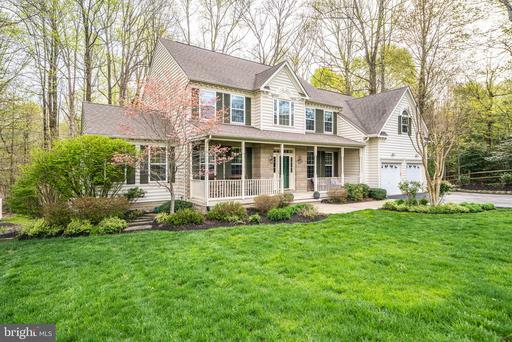 This lovely Colonial located in the sought after Queensberry neighborhood in the Huntingtown High School District offers a Main level master suite with full bathroom. Theres a living room, dining room and spacious two story family room. The deck off the kitchen is the perfect place for entertaining guests. Theres a laundry room on the main level as well as a two car garage. Upstairs there are three bedrooms and a full bath. The unfinished basement awaits your design! Customized upgraded Colonial. Ideal location. 3 Finished Levels. Hardwood floors. Center island w/cooktop. Maple cabinets granite tops-Bright sunny Morning Rm Addition. Daylight walkout bsmt w/in-law/au pair suite 2nd kitchen. 1st floor library. BR lvl laundry. 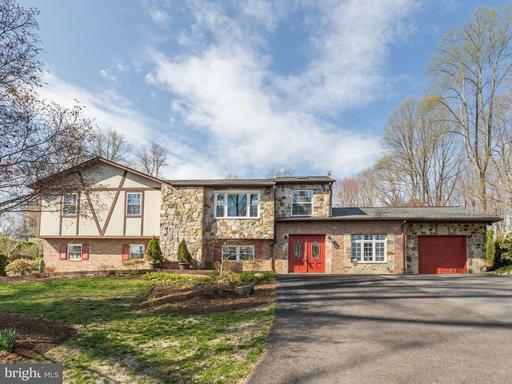 Master Retreat w/Sitting Rm, Spa-like Bath BIG closets. LOCATION LOCATION LOCATION!! 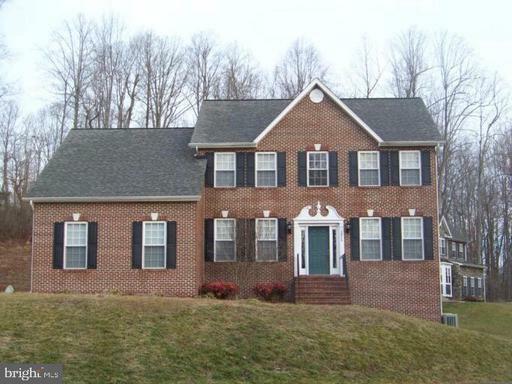 3br 2.5 ba rambler in sought after Huntingtown. Unfinished basement with 1/2 bath, laundry...and plenty of room for future ideas. Large level backyard perfect for entertaining... bakcyard patio, fenced in pool area...in ground pool, bar. This one is priced to sell...and it wont last long! 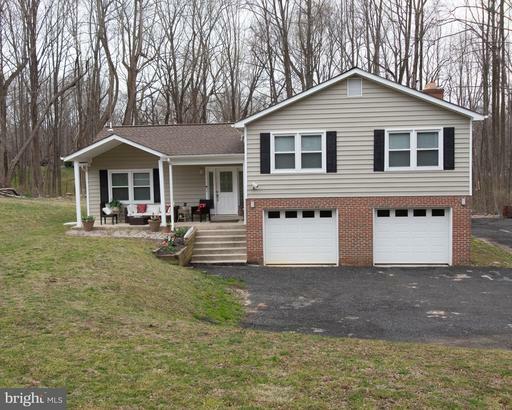 Fantastic Northern Calvert Location. Very Easy commute to DC, Annapolis, Baltimore. House renovated/updated in 2019. Fresh Brand New Kitchen Bathrooms, New Carpet, New Floors, Fresh Paint! Large Lot on Culdesac w/ Beautiful Deck*Fenced Yard IN Ground Pool! Finished Lower Level w/Wood Stove for cozy winter nights! Xtra Lot included in Price is 1704 Cavalier Terrace for total of over 2 acres. Furnace new in 2016*Chimney Liner new in 2017*Pool Filter has been replaced since purchase in 2014. Septic New in 2014. Very well kept home! 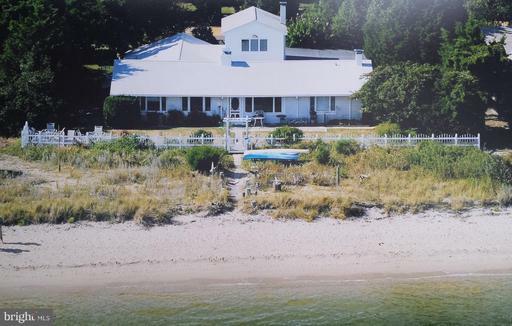 Own your own piece of heaven just steps from the water! 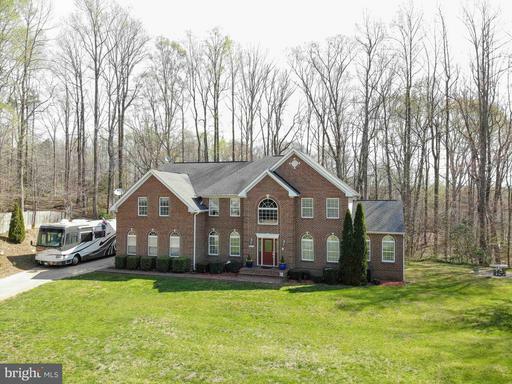 This 2700+ sq ft home sits on over 9.5 acres! The kitchen will be any cooks dream...stainless steel appliances, center island, gas range and plenty of space! Family room off kitchen with fireplace is welcoming. Formal dining room for those special occasions. Open floor plan will make entertaining a breeze. Master suite on main level features a huge walk in closet with organizers and a lux bath featuring dual sinks, soak tub sep shower. 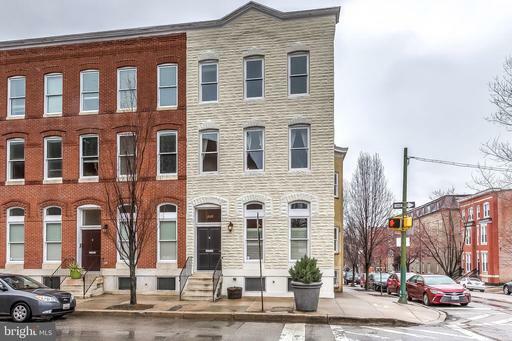 Upper level boasts 3 additional bedrooms with a shared hall bath. The backyard is your own piece of piece of paradise... made for entertaining with a large open deck, pavered patio gazebo. This home will sell itself...just open the door! Welcome to Baythorne Road! This Pristine Former Model Home offers many stunning features that would complete any homeowners dream! Walking into stunning hardwood flooring through out the main level you are sure to enjoy the character it brings to this home. Use your new open kitchen and living area to host guests at any time! Adding to the beautiful interior includes your new immaculate master suite complete with a large master bath. Enjoy your Stunning Paver Patio overlooking your new Flat Yard andIrrigation System. Nestled on 1 Ac in the Heart Of College Station close to Restaurants, Shopping, and Parks. 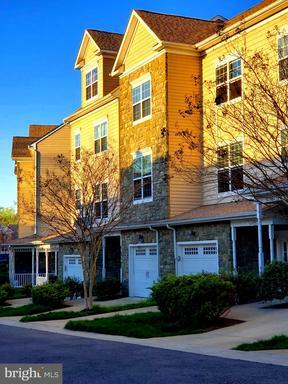 Convenient Commute To PAX, AAFB, Alexandria, and DC. Lawn Mower Snow Blower Convey. 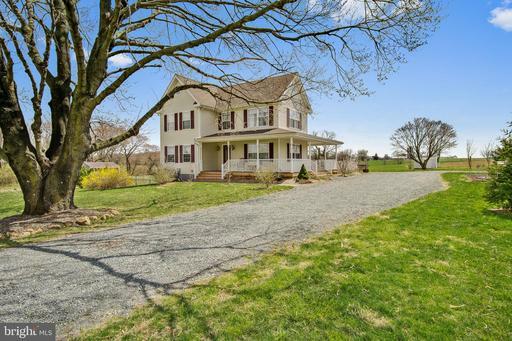 Beautiful farmhouse in sought after Huntingtown with so much character! Not only is the home gorgeous inside, but the property offers so much room for all of your toys. Barns convey on property. 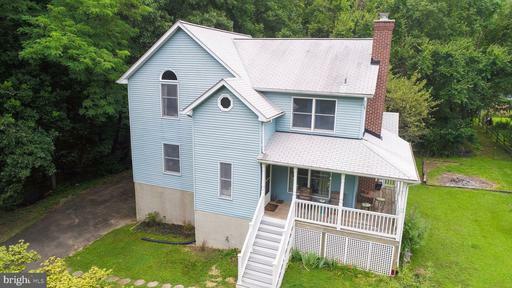 One main level bedroom with full bath, screened in porch perfect for your rocking chairs, a large family room and 4 additional bedrooms upstairs with another full bath. 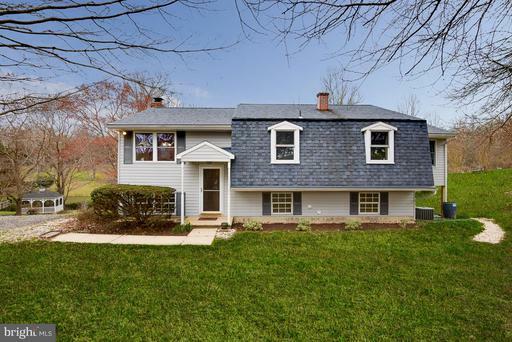 Updated lighting fixtures, subway tile in upstairs bath, hand-scraped hardwood s throughout main level, pantry in eat in kitchen with barn door and the list goes on. These type of homes dont come along often and wont last long! Old home gone, tax records do not reflect the NEW HOME! This beautiful new four bedroom home features a first floor open floor plan with custom paint colors, all hardwood flooring, 42 gray kitchen cabinets, sub way tile back splash, stainless appliances and open to dinning area and great room off the kitchen is the large laundry room that exits to the Two care garage. The basement features a walk out exit and full bath rough in. Upstairs features three nice size bedrooms all with closet organizers fans and natural lighting the large master bedroom has a fan, closet organizer lots of natural lighting and the bath features tile flooring and half walls with subway tile double bowl vanity and modern soaking tub. Area amities include shopping, restaurants, good schools, discount water park tickets, community center, ball fields, marina, board walk and beach. Dont wait long or it will be gone! Listing Broker: A O Realty Services, Inc.
Home completely updated: new kitchen, new baths, all new appliances, new flooring throughout along with new HVAC System and Radon pump. Wont last long. Come make this yours today. HUGE HOUSE! Park your RV, boat, trailer, etc on driveway with NO HOA! 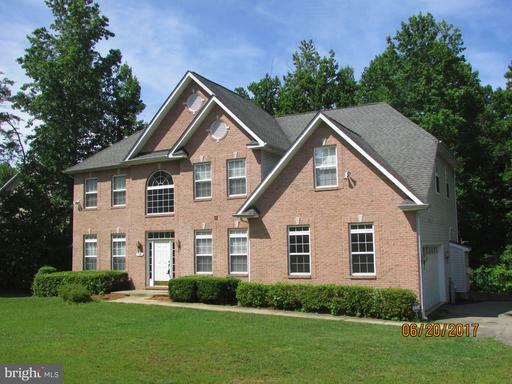 4 bedrooms upstairs including huge master bedroom, his and her walk-in closets and sitting area. Office on main level with french doors. Huge kitchen with center island, gas cooktop, double wall oven, stainless steel appliances, granite countertops, 42" cabinets. Family room off kitchen new Provia french doors leading to back deck overlooking backyard that backs to trees! Brand new Provia front door side lights! Large sunroom! Seperate dining room, seperate living room. Fully finished basement with custom wet bar with refrigerator. True theater room with projector, screen built in surround sound. Functional bedroom with full bath plus additional weight room/music room/playroom. 2-car oversized garage. Just a minute off Rt. 4 makes for an easy commute to Andrews and D.C.! Contractor is scheduled for next week to repair kitchen tile by new back door and master bedroom ceiling. 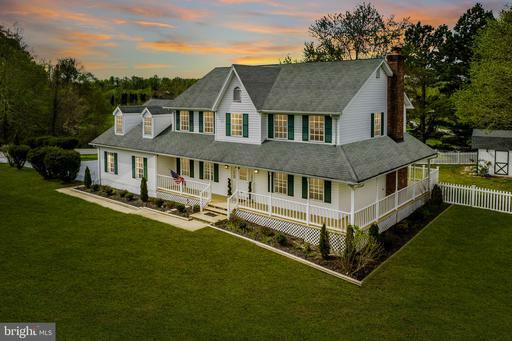 Unique victorian colonial w/ wrap around front porch on 2.5 acres w/ water access, pier, boat ramp on Hunting Creek! 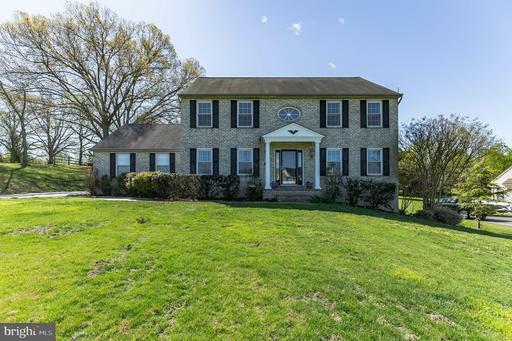 Spacious home with 3,700+ sqft! Trex deck overlooks private wooded back yard. Enjoy the serenity here! Beautiful hardwood floors throughout first floor! Attached 2-car garage. Updated bathrooms! New HVAC new roof in 2011! Move in ready! Excellent school district! NO HOA! 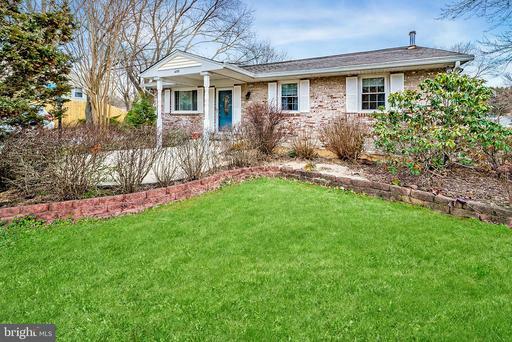 Completely rebuilt from foundation up in 2011, 4 br 2 bath split on a private acre lot, fully fenced rear yard with plenty of parking. Large custom built deck over looks the woods and creeks below. Spacious L-shaped kitchen opens into the dining area with sliders to the deck. 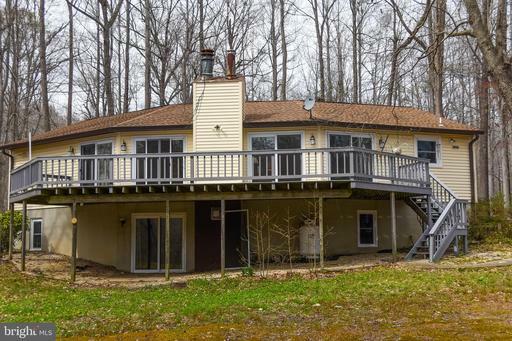 3 Bedrooms on the upper level with 2 full baths and living room. Lower level boasts of a large family room with walkout to the rear yard and good sized bedroom with walk in closet. Sit on your deck and enjoy the peace and quite, while listening to a small natural waterfall in the distance. 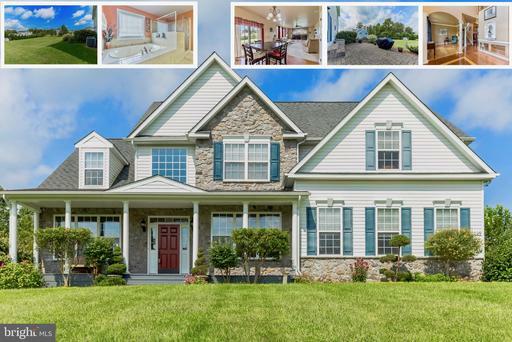 Listing Broker: Anne Arundel Properties, Inc.
Beautiful colonial in the sought after neighborhood of Queensberry. This home has approximately 4500 square feet of living space above ground with a stunning two story family room, gourmet kitchen, main level master suite with custom walk-in closet and laundry. Gorgeous hardwood floors. 3 car garage, fenced yard with large deck. Four large bedrooms with Jack Jill bathrooms and walk-in closets upstairs. 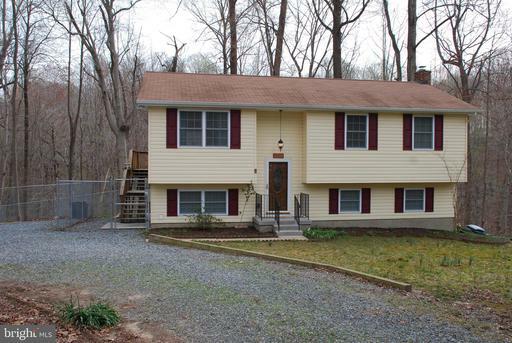 Large finished basement with full bath and plenty of storage. 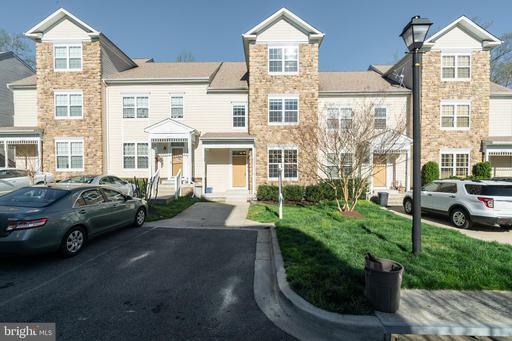 Bay views with 2 exposures from the extra large end-unit townhouse walking distance to downtown Chesapeake beach. 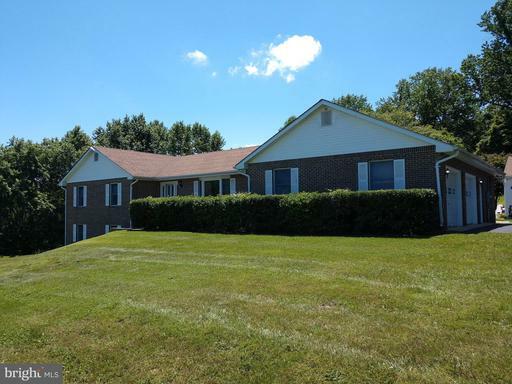 This sunbathed home offers living room with fireplace, gourmet kitchen with breakfast area, separate dining room, 3 full bedrooms, 3 full baths, 1 half bath, lower level recreation room and bonus room. Wrap around porch on the main level and terrace off of the Master bedroom. Updated bathrooms throughout. Charming community with access to boardwalk along the water. A must see! 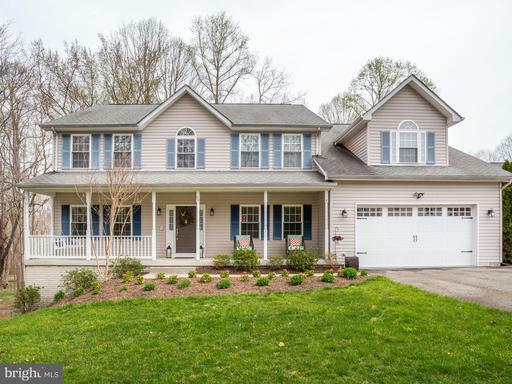 This gorgeous colonial home in northern Calvert County is located on a cul-de-sac in the sought after neighborhood of Lyons Creek Overlook. All of the bells whistles that one would expect in such a grand home to include Entertainment options galore with Open Floor plan that walks out to the large 32X24 deck down to an extended patio with exterior grilling fire pit options. Need an in-law suite or a guest wing? 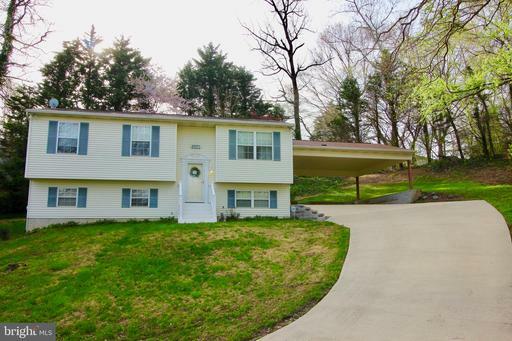 This fully finished basement has family room space, kitchenette a 5th Bedroom w/ Full Bath. 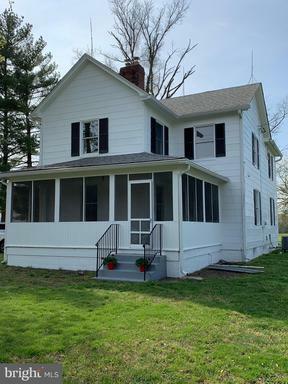 A well maintained home-- NEW ROOF in 2017, TWO NEW HVAC systems in 2019 with transferrable warranty, UPGRADED SEPTIC in 2014, NEW water softener and stackable washer and dryer in 2017. Such a fantastic location ~ Convenient not only to Annapolis, Baltimore, Downtown DC, Northern VA but to Andrews AF Base PAX River. Did I mention that the schools are some of the best ranked in the entire state?! 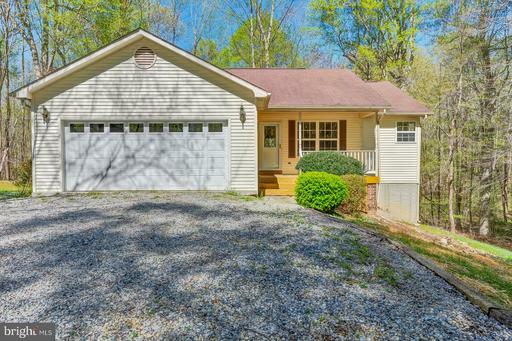 Spacious Rambler In Northern Calvert! Close drive to DC Annapolis. 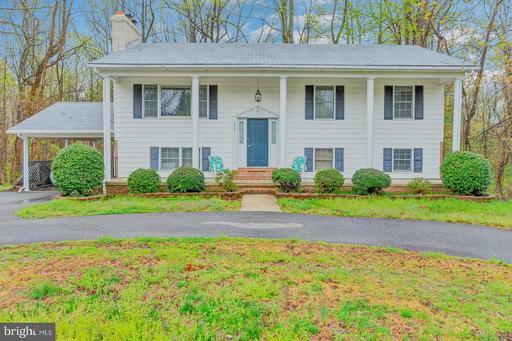 This home is beautifully remodeled and features a new deck screened porch! 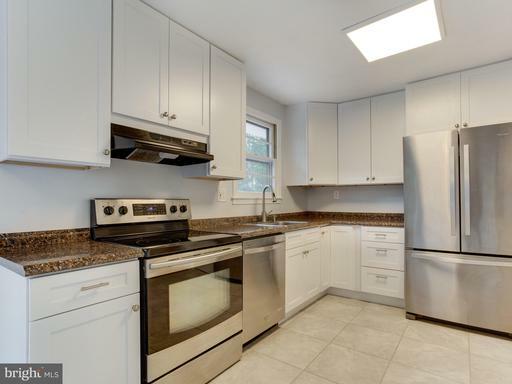 Kitchen features stainless steel appliances, a breakfast bar and large eating area. The main level flows beautifully from the formal living room through the kitchen, dining room into the family room. Upper Lower Level Master Suites! In the basement is a large inlaw suite, wet bar more! 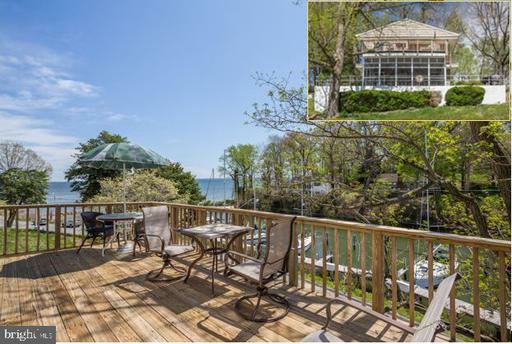 Rare opportunity to own a stunning home in Patuxent Palisades with Waterview and Water Access! Situated among some of Dunkirks most amazing homes. As you turn the corner toward this home you KNOW its special. Stucco exterior, Side load 3 car Garage, Grand 2 Story entrance, Entry Level Master Suite ideally positioned to have views of the water from the bedroom and jetted bathtub, Kitchen w/ granite, butlers pantry, Back Deck w/ Hot tub, pergola w/ stamped concrete and unbelievable views of the water. 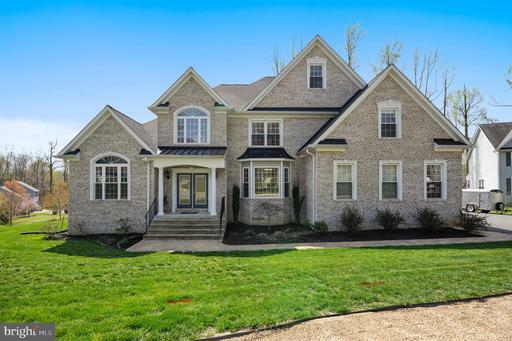 5 BRs, 5.5 BA w/ over 7400 finished sq/ft to include a finished basement w/ 2nd full kitchen, bathroom, bedroom and living area. Completely self-contained, the basement space could be used as a FULL in-law apartment. Patuxent Palisades is a water privileged neighborhood with community access to a boat ramp, pier and pond/recreation area. 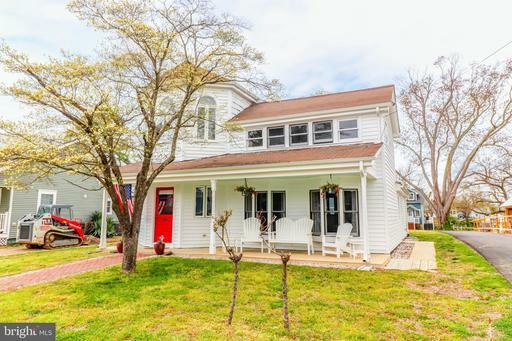 25 minutes from Washington DC and Annapolis, 1 mile from new Dunkirk Town Center. National Blue Ribbon Schools, to include newly built Northern High School. 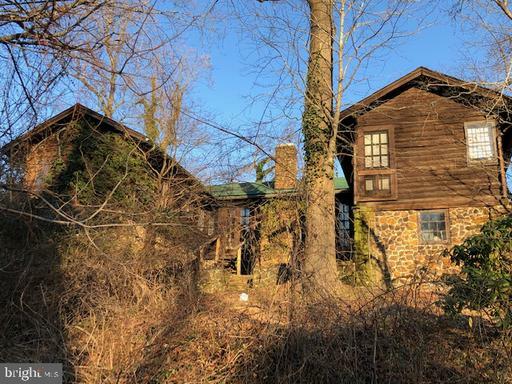 Log cabin that needs TLC with spectacular panoramic view of the Chesapeake Bay from the top of Calvert Cliffs! Only 60 minutes from DC! 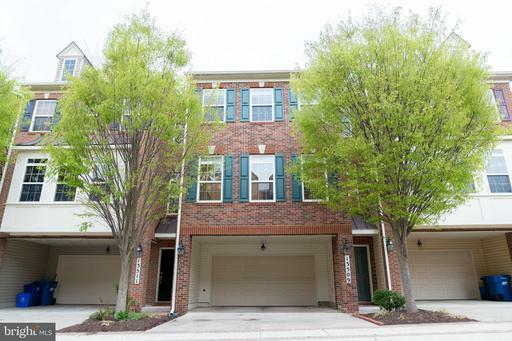 Luxury townhome in a serene tree-lined community nestled in the heart of Prince Frederick just minutes from Public Schools, restaurants, shopping, and beaches. The house features a Gourmet kitchen with stunning Kitchen Cabinets Granite, Gorgeous laminate flooring through the main level. Master bedroom features vaulted ceiling and huge walk-in closet. Shows like a Model! 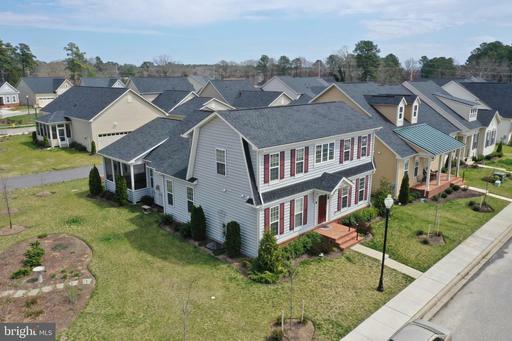 Quiet neighborhood with playgrounds, walking trails, community center, and daycare. 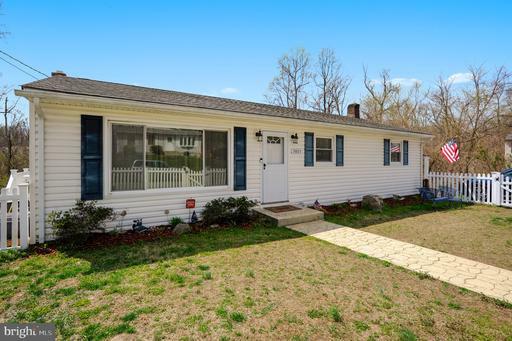 Short commute to DC, Andrews Airforce Base Pax River! 0 DOWN PAYMENT available! 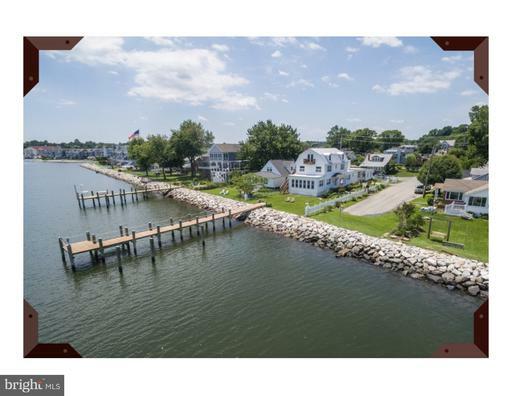 Welcome home right off the island itself...SOLOMONS ISLAND. This is a 55+ community however 20% can be sold to under 55. 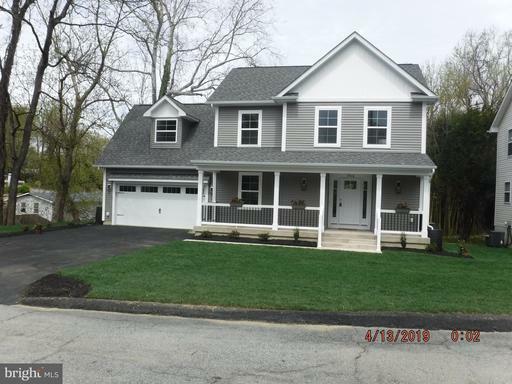 This home features on main level: Master bedroom with two walk in closets, Luxury full bath with Walk-in Glass shower and separate sink vanities. The kitchen is complete with Stainless Steel appliances, granite counter tops, Stainless Steel farm sink, Tile backsplash, center island with Breakfast bar, upgraded cabinetry and under cabinet lighting, The family room boasts a gas stone fireplace conveniently located off the kitchen. Also a walk out to large screened in porch with ceiling fan. On this level you will also find the separate formal dining room, crown molding throughout, a powder room for guests, a large laundry room with wash basin and entry to the two car garage. 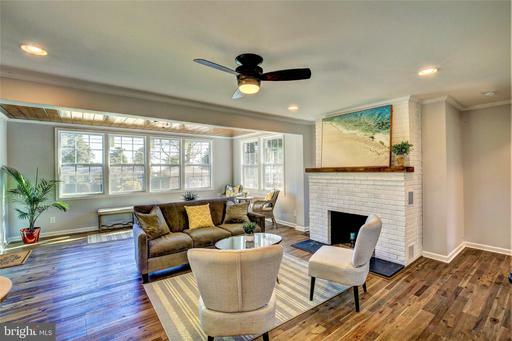 Hardwood flooring and upgraded lighting on both the main and upper levels of this home. Upstairs you will find a loft with two additional large bedrooms and a full bath. The lower level is about 50% complete with a large recreational room, full bath, and two large storage rooms. Community amenities include: Club house, fitness facility, pool, community pier for fishing and crabbing, sidewalks, common areas, and a marina that offers discounted rates for boat storage and slips. 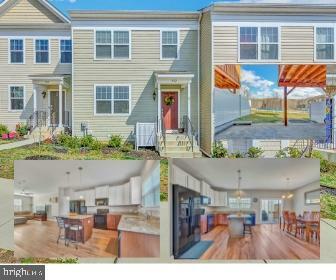 Think of any additional upgrades... Theyre most likely here, as this home was built with pride of ownership. A O Realty Services, Inc.